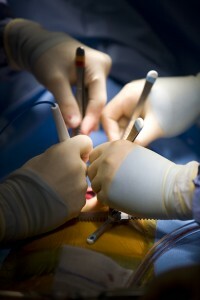 The PA Surgical Residency Program is an intensive 12-month program, available to four residents per year, administered by the UF department of surgery. Clinical duties are performed at UF Health Shands Hospital. OUR AIM: Our program provides an educational and nurturing environment to educate and enable physician assistants in providing care for the most complex surgical patients. We aim to help physician assistants develop keen judgment and technical abilities in different aspects of surgery, thus increasing their confidence in their chosen specialty. Additionally, PA residents will obtain clinical and didactic knowledge that would take years of on-the-job training to obtain, thus opening avenues of more professional opportunities to them with increasing autonomy and responsibility. OUR MISSION: Our program is dedicated to innovation and the future of medicine by creating proficient and dedicated physician assistants capable of administering exceptional patient care in the surgical environment at a high volume tertiary care referral center. Every PA surgical resident will be provided ATLS and ACLS certification upon completion of their PA residency.